You drive a high performance vehicle that requires high performing braking. Depending on your driving style and where you drive (stop and go traffic wears brakes more quickly), your BMW will need brake pads, rotor inspections, and fluid changes every 20,000-50,000 miles. 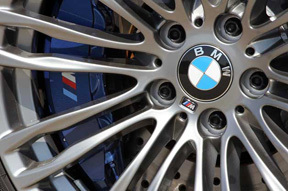 We recommend BMW original brake pads and rotors to maintain the high level of braking performance, comfort, and durability you expect from your BMW.